One Click Auto configure with amibroker. Amibroker live data - Amibroker Real Time Data. Now get extended support after 06:00 pm. Buy 1 Year Amifeeder Data from us and now you can get support even after regular support time. You can call us up to 10:00 pm. This is valid for Annual subscribers only. Happy Trading. Best Buy Sell Signals. Get real time data for equity cash, equity fno, future, commodity, Agri Commodity, currency with tick by tick updating for amibroker real time. Get best buy sell signal or afl (amibroker formula language) with annual subscription of any of our feed. Historical data for last 1 month (30 calendar days) in Trial and 6 month ( 180 calendar days) in paid version of AmiFeeder is covered. Real time market data provider. Stock Market Data. 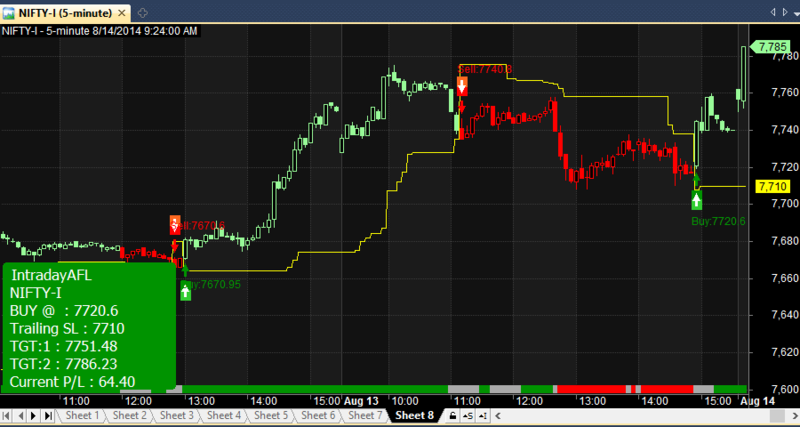 Nifty future and Option Data. Ami Feeder Data. * From Amibroker Live Data you can take real time data for amibroker charting software. Data for amibroker is updated tick by tick or second by second and historical backfill is given in 5 minute open high low close (ohlc) format. The real time data is updated with least delay. Via AmiFeeder we offer excellent and high quality data service for Worlds best charting software Amibroker. Our Software name is AmiFeeder which feeds the Indian market data to Amibroker. * In AmiFeeder we provide intraday and positional data for Equity cash, Futures, Nifty Options, Commodity and Currency feeds. 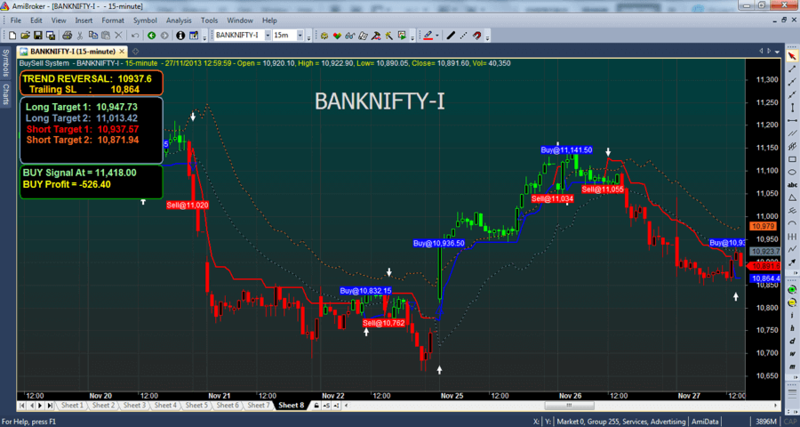 Amibroker live data.com is one of the leading real time data provider in Indian stock market for educational and non-commercial data for amibroker charting software. Our Real time data service updates real time data in amibroker. AmiFeeder is only real time data provider who offers excellent quality of data and best support to its trial seekers and subscribers. We often provide support via team viewer, remote sharing software, from 09:00 am to 09:00 pm on Monday to Friday. * We also give basic training of amibroker charting software to users who have zero knowledge of amibroker and want to make use of amibroker’s best charting technology for simplifying their trading needs. To get the free buy sell signals and all basic training of amibroker you should subscribe to any of our service for 1 year. This is our commitment for long term clients to help them win market odds and make precise decision in their day to day training needs in various exchanges like cash, fno, commodity, agri commodity and Indian currency. * With our data software Ami Feeder user get freedom to use symbols of multiple feeds like equity, commodity and currency with tick by tick data real time data updating in amibroker. 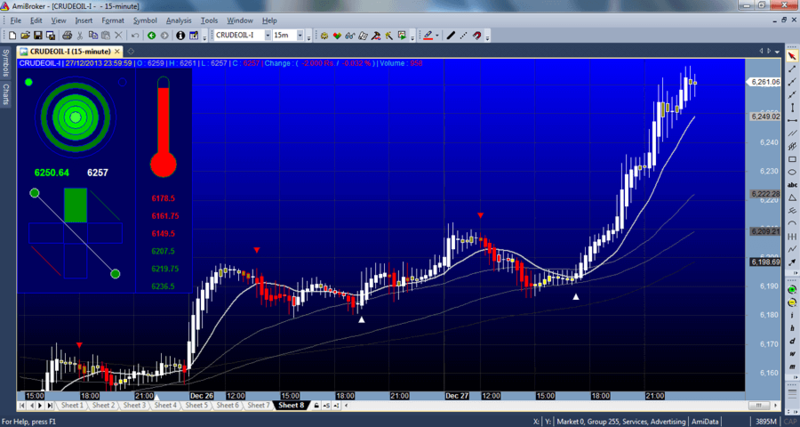 User can select 50, 100, 150 or 200 active symbol plans from any feed for live charting in amibroker. You have access to future stocks, nifty and BankNifty future, nifty options, cash, fno, commodity and currency. you can also save your favorite list of symbols and load them later. Symbols can be removed or added in active symbol list anytime in AmiFeeder from the given pre-defined 500 + symbols. * In particular we at amibroker live data.com provide the data feed for amibroker via our software Ami Feeder. We are one of the old and best data providers in markets currently. At amibrokerlivedata.com we provide amibroker data feed for different Indian data feeds mainly equity cash, future, nifty options, commodity, agri commodity and currency. 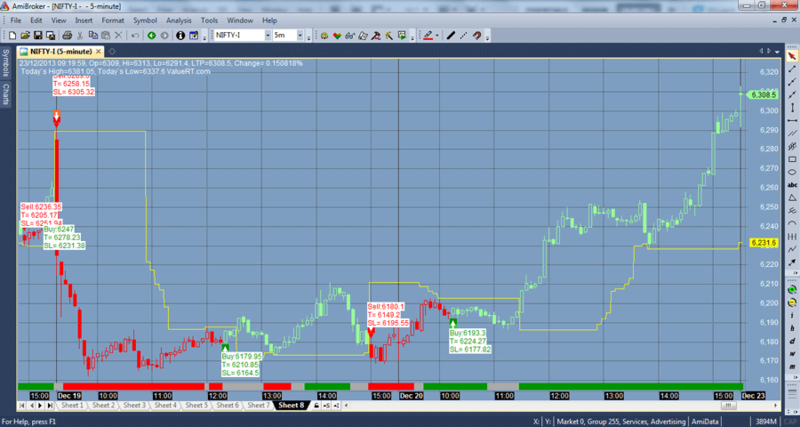 Data updates second by second in amibroker during market and backfill is in 5 min format. Traders can take our annual package to get basic training of amibroker and free best buy sell signals for amibroker. Buy sell signals for amibroker is also known as AFL (amibroker formula language). These amibroker afl or buy sell signals works well in intraday and positional trading.